BombBomb offers you an email marketing tool for sending your newsletters or promotions to your customers, video emails to your tribe, or a video welcome message to your new subscribers. 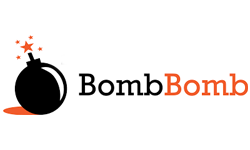 Since its inception, BombBomb has supported video email. The BombBomb difference is video. Since 2007 we have seen the power of adding video to email marketing communications. Click-through rates and conversion rates increase simply by adding video. The Easiest Way to Build Relationships through Video! Our mission: we make it easy to use simple videos to build relationships through email, text, and social. Our vision: we’re the #1 tool for building and strengthening relationships through video. Our core values: relationships, fun, humility, flexibility, service. Record and send from anywhere. Struggling to keep up with those important people in your life? 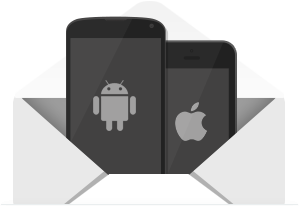 Record and send video email from anywhere. Any camera, webcam or smartphone works great. Video email platform with email editing, video recording, video upload, tracking and analytics, real time alerts, relationship scores, custom forms, autoresponders, drip campaigns, and much more. Gmail integration – send videos from inside your Gmail inbox. 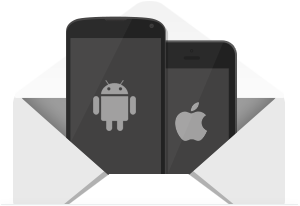 Mobile apps for iOS and Android – keep track of relationships and interactions and send videos.